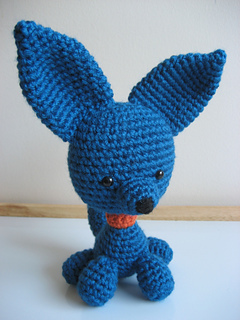 This little puppy is so cute and fun to make. He has big, perky ears and a sweet little nose. The best part about this puppy: he already knows how to sit on command! Beads or safety eyes. 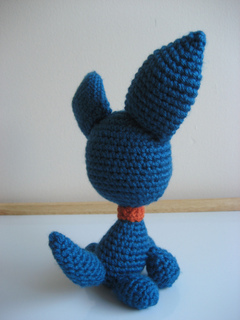 NOTE: Do not use these if the amigurumi is intended for a small child. Instead, embroider on the eyes with thread only so that they can’t be chewed off and swallowed. Final Puppy height is 23 cm/9 inches (including ears). This pattern has pictures, easy to follow instructions as well as an explanation of ScDec. This pdf is 0.9 MB. 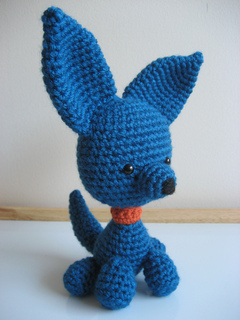 ** I love to see how your projects have turned out, so I encourage you to share your puppies! *** NEW VERSION: updated on March 3. There was a slight omission to the ‘Body’ instructions. It should have said, ‘In Puppy Colour (A), Ch 10. Sl st to first Ch stitch to form a loop.’ This has been fixed in the updated version. Sorry for any confusion. Happy Crocheting!